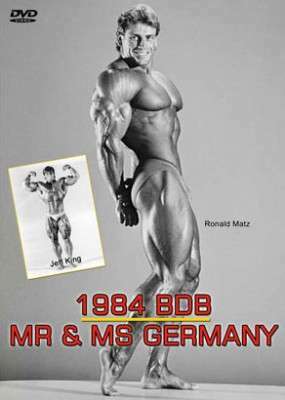 The 1984 BDB Mr Germany was won by Ronald Matz, who competed with distinction a number of times in the NABBA Universe. The DVD includes many great physiques from Germany in the mid eighties. Franz Bach guest poses.